Mom has been tippy-tapping like crazy every waking minute. I've had to meow especially loudly over the last couple of days to get her attention. It's not really unusual though. Whenever she gets really deep into a project she is really excited about, the whole house just goes to pot. Fortunately I am a cat. Not a pot. Mom never forgets me. Even if I have to jump on all her papers to make sure she doesn't. Happy New Year's Eve. See you next year! The weather guys said we were supposed to get 3 - 5 inches (7.6 - 12.5 cm) of snow last night, but it looks like we got a lot more. I'm glad I don't have to move the stuff around. Because, you know, I have important stuff to do. With all the snow yesterday, Mom stayed home. 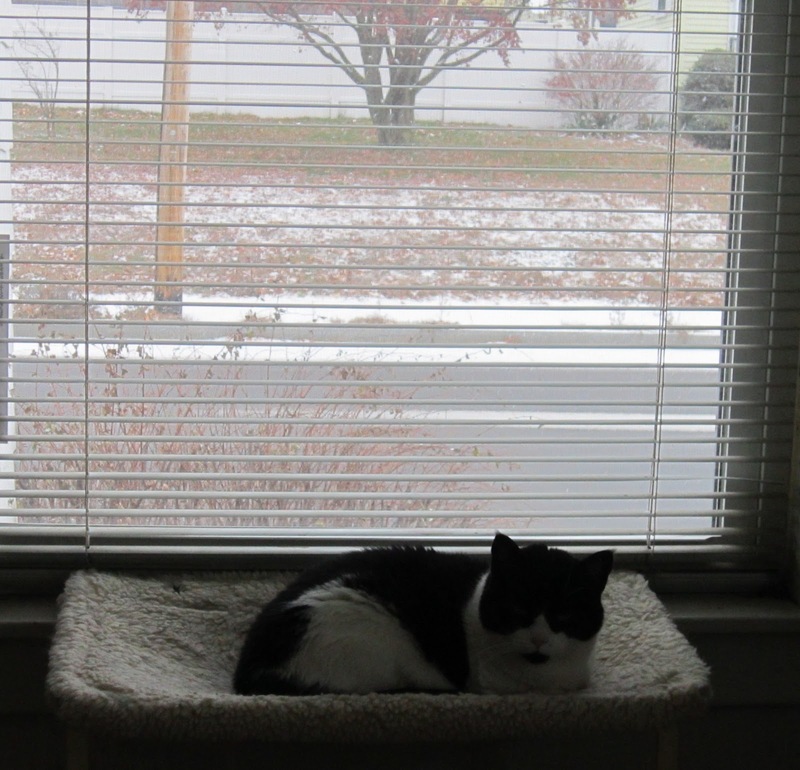 She was outside pushing the snow around for a while and when she came back in she started tippy-tapping. Then she was looking for her pen. It wasn't on the table so she looked under the couch. She didn't find the pen, but she did find these. Dunno why she gave ME a funny look when she found them. 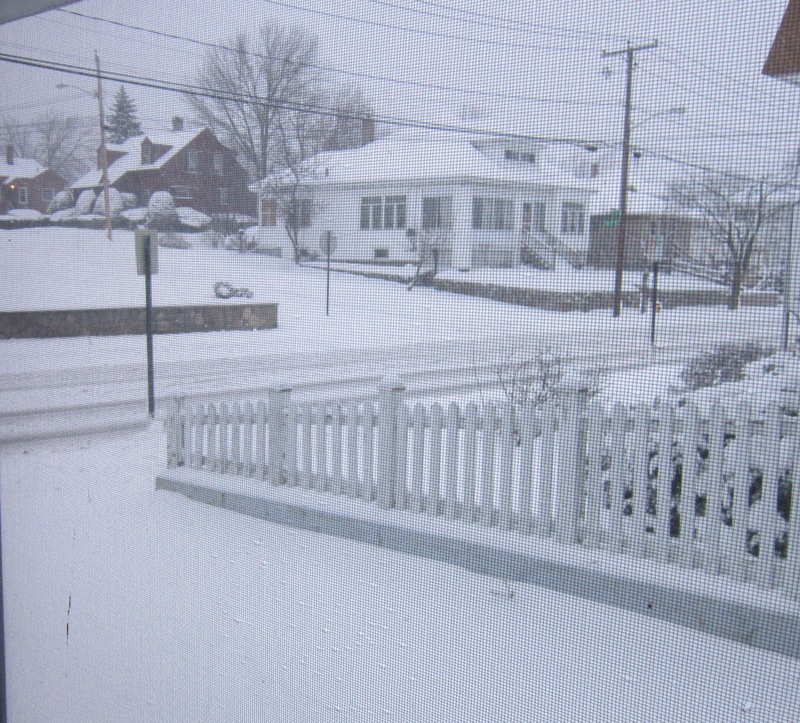 This is what it looked like outside when Mom got up this morning. It's pretty to look it. Mom doesn't like having to push it around, though! Happy Boxing Day! There aren't that many boxes at my house, but that's ok, because I am not a kitty who likes boxes. 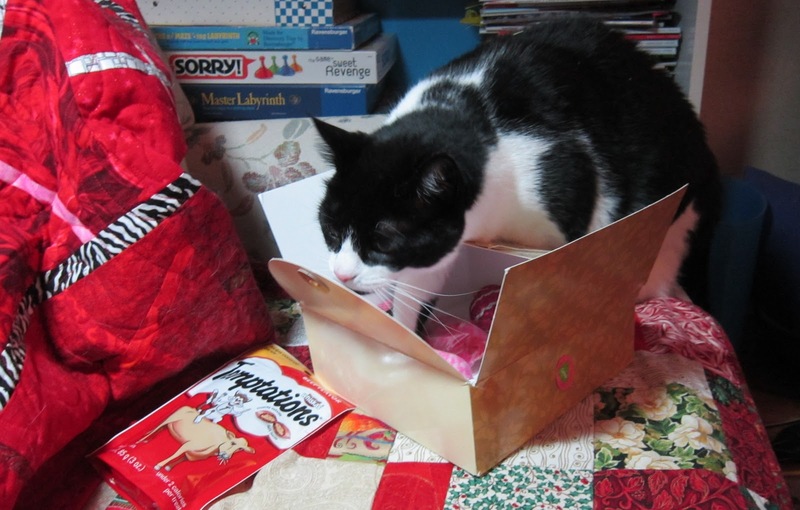 If you want to read a good story about Christymas boxes here, you should read this very old post. It is a good story! I had a great day yesterday, lots of beef and scritches and napping under the tree. Mom was happy because she got to talk skype with Mr Karate not once, but TWICE yesterday. She says it's the best thing since sliced bread. It made her happy, so it makes me happy too. 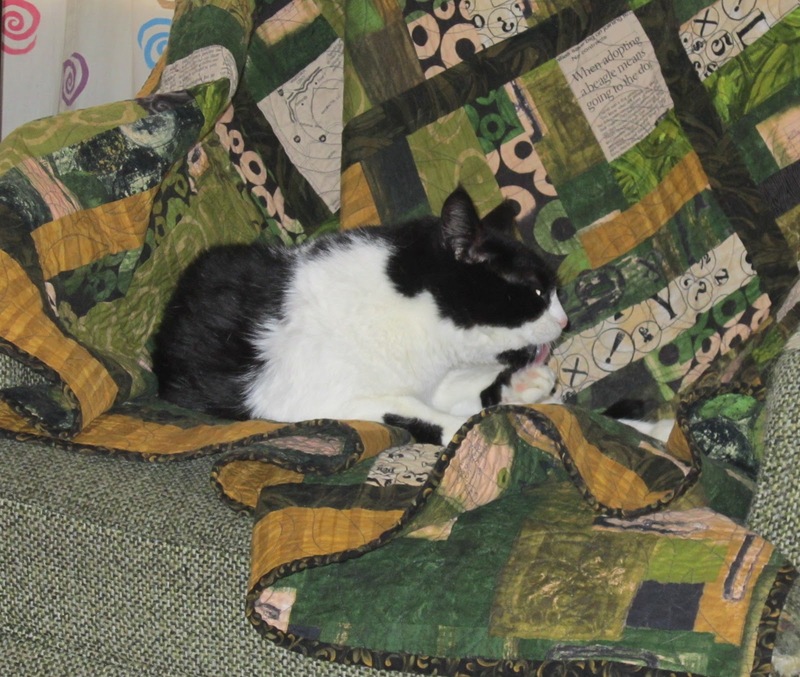 Mom also spent a lot of time tippy tapping over the long holly-day weekend. She was very pleased with her progress. We are supposed to have a big snowstorm tonight. We'll see! Merry Christmas! Mom and I wish you all the Merriest of Christmases! Christymas is coming real soon! Mom and I hope you like our new Red look for the Holiday Season. Mom baked her bread this morning, and I am snoopervising while Mom tippy-taps. O Bast!!!! My Secret Paw package arrived today! It was from my friends Sammy, Miles, Nicky and Billy Sweetfeets! The box was interesting! I could smell the Meezers and Billy Sweetfeets! Lookit! 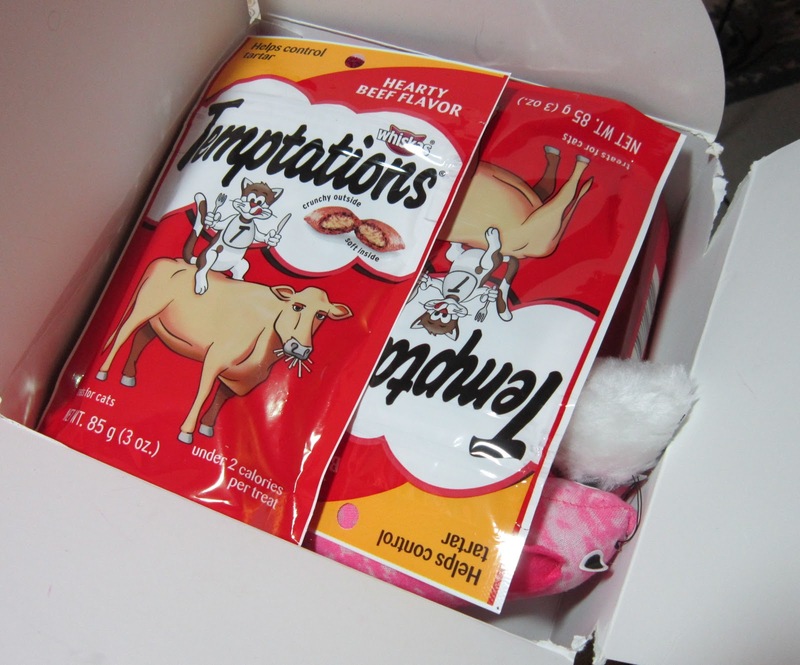 I got BEEF Temptations, my favorites! 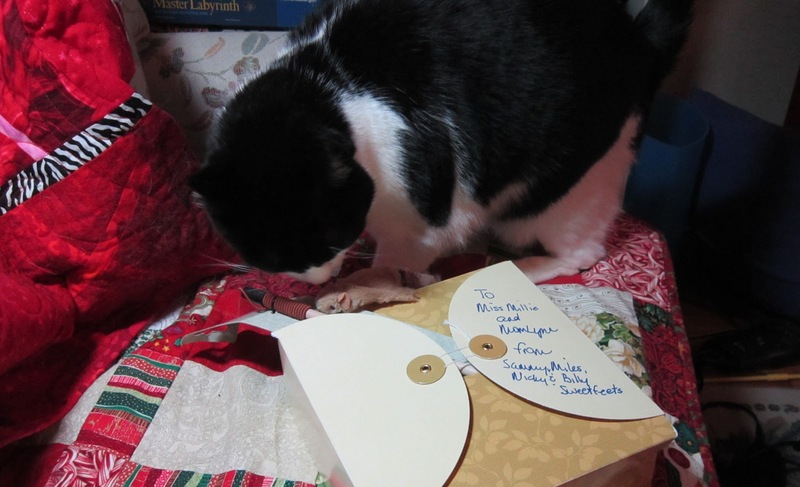 The guycats sent Mom some pressies too. Mom got some cho-co-late treats! But there was something else in there that smelled REALLY GOOD! 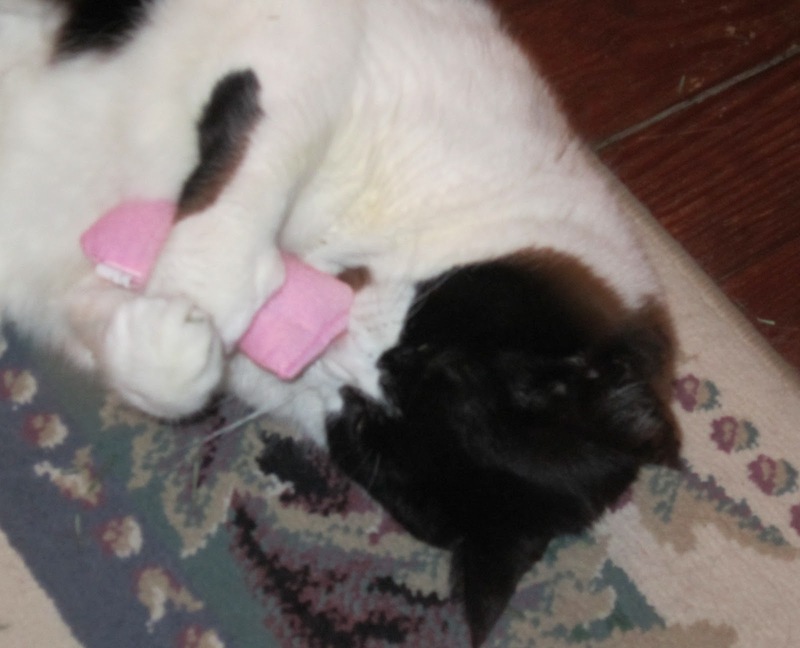 The box is full of PINK toys, and 'NIP!!! Thank you, thank you, thank you Meezers and Billy!! Thank your Mom for the pressies for my Mom too! We all know Mom's been spending a lot of time tippy-tapping. If I want scritches, I have to get on the couch next to Mom, so that's what I do. Don't let the expression on my face fool you. 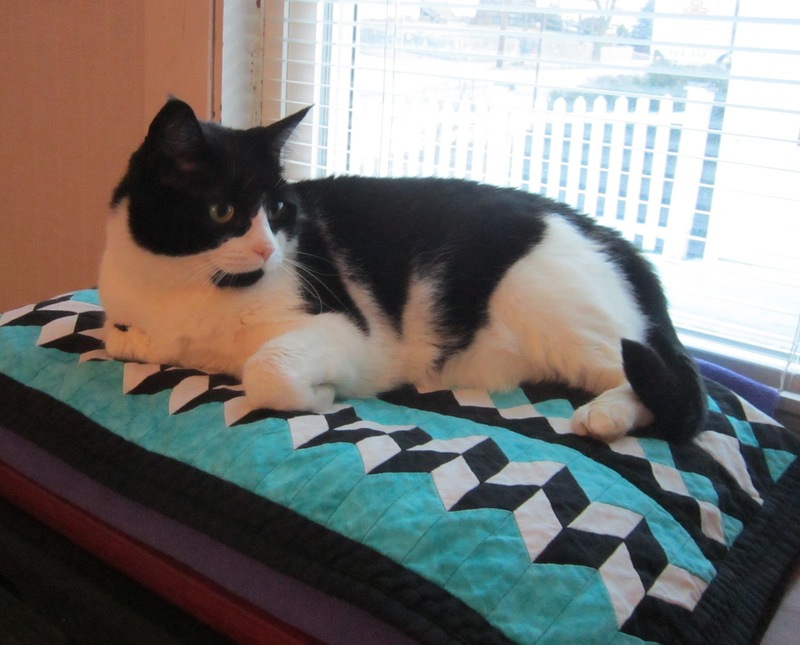 I was purring up a storm! Mom has been tippy tapping. When she does that she doesn't do the dishes, doesn't fold the laundry, doesn't make the bed. The house goes straight to pot. Sometimes this can be a big advantage for me. So what did Mom watch last night? Because the ticking clock show ran late, Survivor didn't start until 9 PM, when The Next Iron Chef started. So Mom started out watching the guys named Pat. It was raining at Razor Field and the game started badly for my guys. Besides, Mom has an app on her iFone that tells her how the guys named Pat are doing. So Mom watched The Next Iron Chef. Mom and I watch a lot of TV together. There isn't any tennis until the Aussie Open next January, so Mom's TV watching is a bit more, shall we say, varied. You all know that Mom loves Project Runway, and we both love our pals, the guys named Pat. She also loves cooking shows. She has a big problem. Tonight, the guys named Pat are playing at 8:20. The Next Iron Chef is at 9:00. But Mom has a guilty pleasure. A show she loves to watch, but keeps secret. Mom loves Survivor. The two hour season finale is at 8:00 tonight. I dunno, but I think the remote is gonna get a workout. Look, I'm just a cat. I live a life of luxury. I don't work. I am well taken care of. I am loved. I write this blog for my own amusement. But I'm not stupid. I know I'm damn lucky to be alive, because I almost died, and somebody saved me. 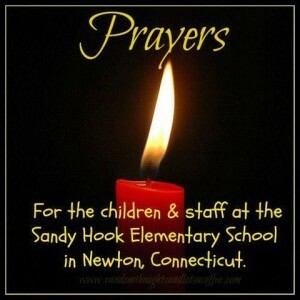 A person that can only be described as the worst kind of evil shot and killed twenty little kids yesterday, and six adults who tried to protect them, in Connecticut, the state where I was born. To pretend to be frivolous on a day like this is just wrong. I'm purring for all the hearts that are broken today. Will you join me? Mom's been busy with Christymass-y stuff this week. The man in the bloo shorts brought packages to Memphis, to Catifornia and to Mary Land. 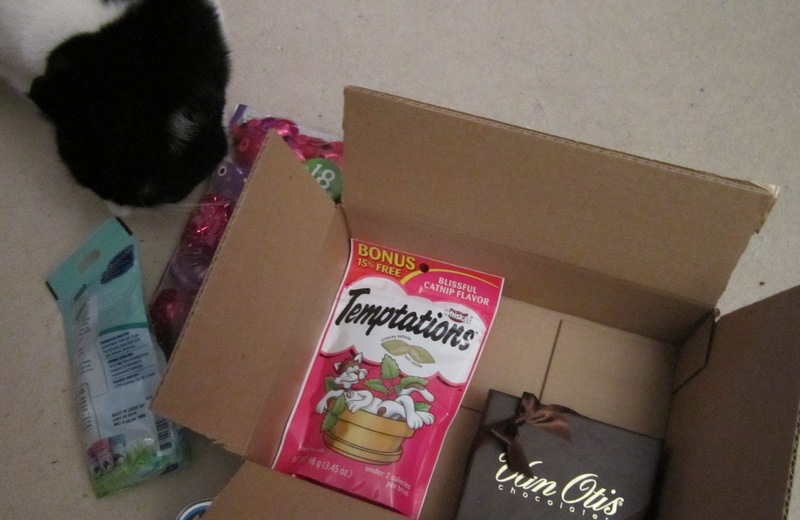 He also brought pressies to Ore-a-gon and put our Secret Paws package on a jet plane for a long trip. Mom baked some cookies and will be baking more this weekend. The house is a mess and she doesn't like it. She has been trying to get her daily tippy-tapping in too. I have no such responsibilities. I simply eat, bathe, play and nap in addition to my job as snoopervisor. Happy Weekend everybuddy! Really. See, I'm way over here. Mom decorated the tree last night. It's full of fun toys to bat around. 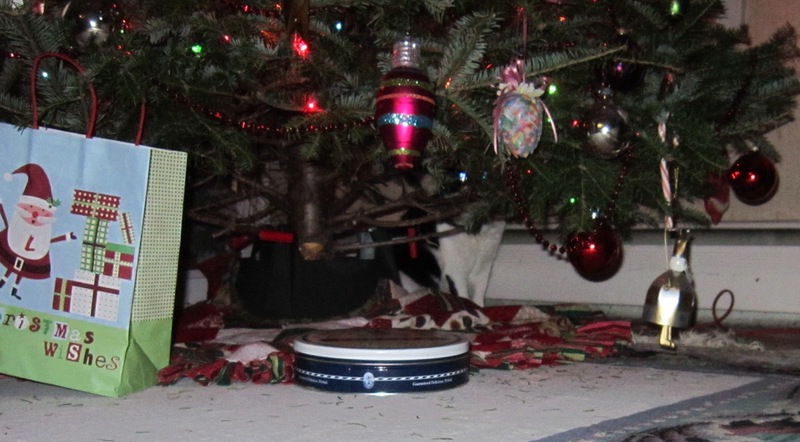 Not only does the tree smell good, but I can sharpen my claws on the tree trunk and Mom doesn't mind! Oh lucky, lucky, lucky me! 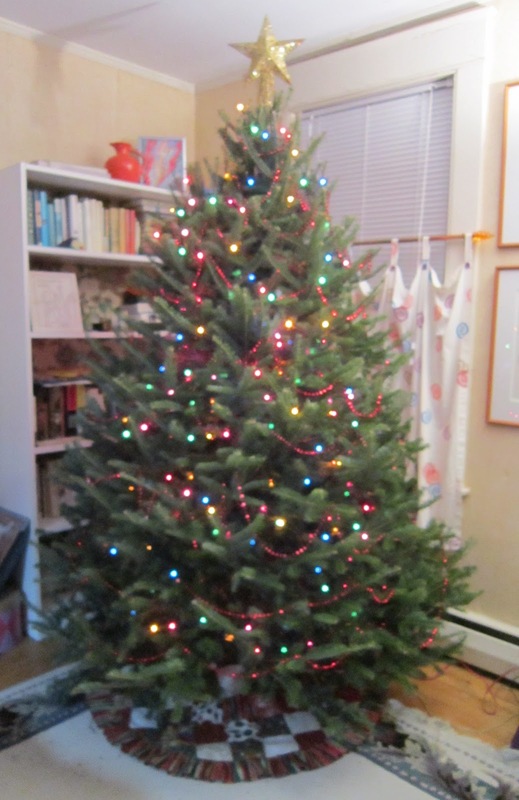 Mom got the lights on the tree last night, and then she hung some garlands. 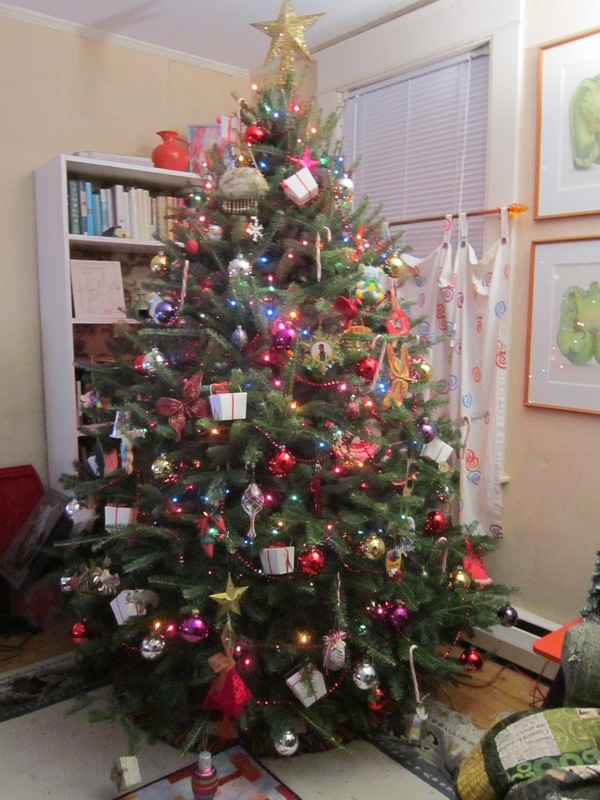 I learned something about real live Christymas trees last night. They are messy! 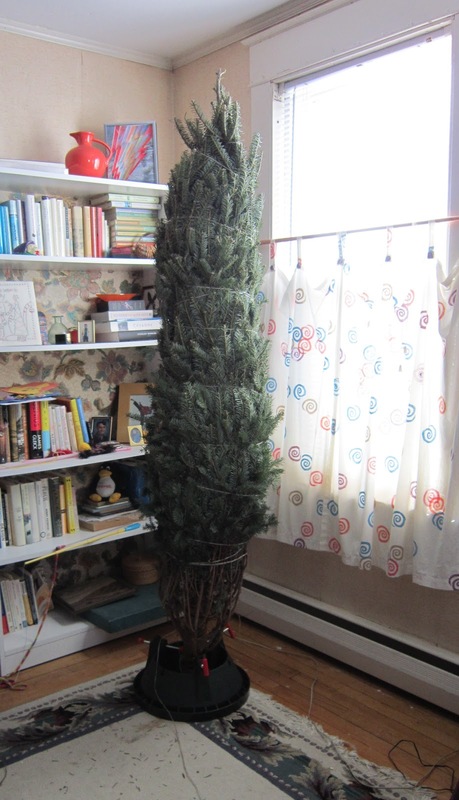 Mom dragged out the rug sucking monster to pick up the needles the tree dropped. 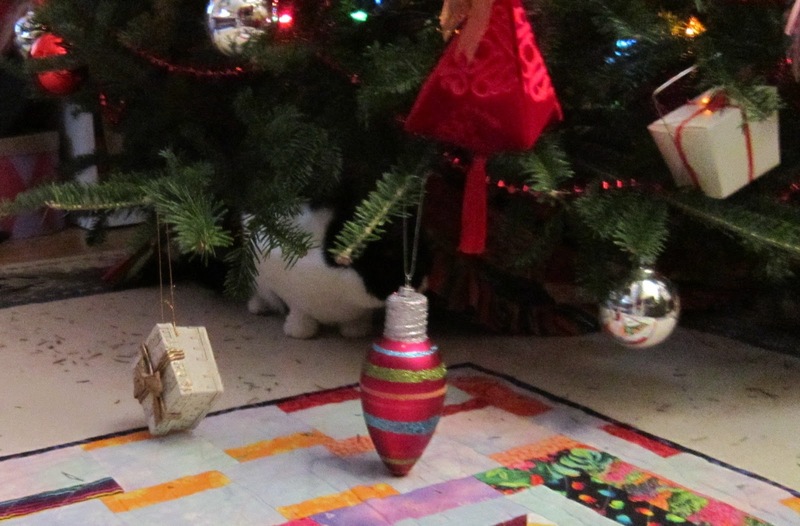 I ran out from under the tree when the rug sucker came out, so there are no photos of me today. Mom went out yesterday, and when she came back, she brought this with her. 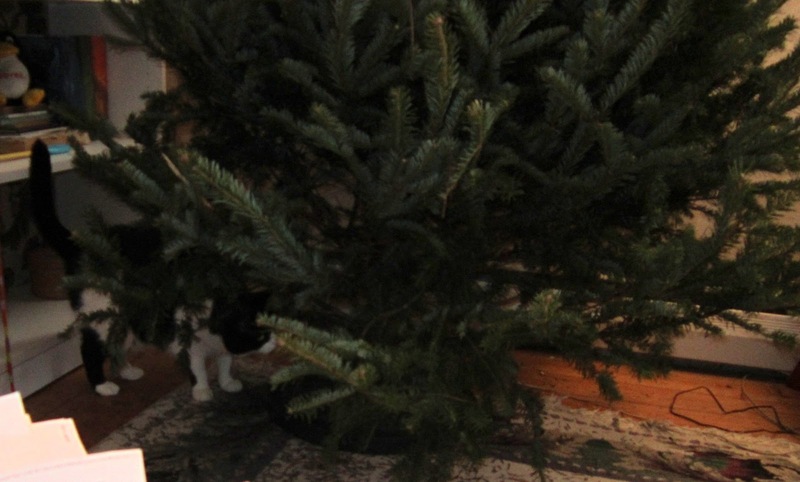 She stuck it in the Christymas tree stand. 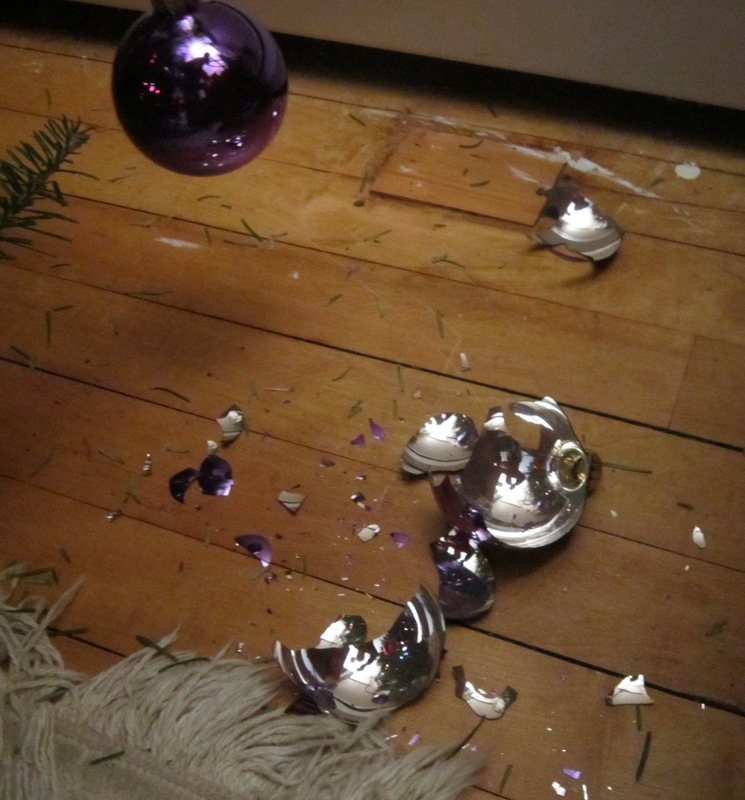 It didn't look like a Christymas tree. But it smelled like a Christymas Tree. Mom cut the strings, and fluffed out the branches. The tree looks better now. 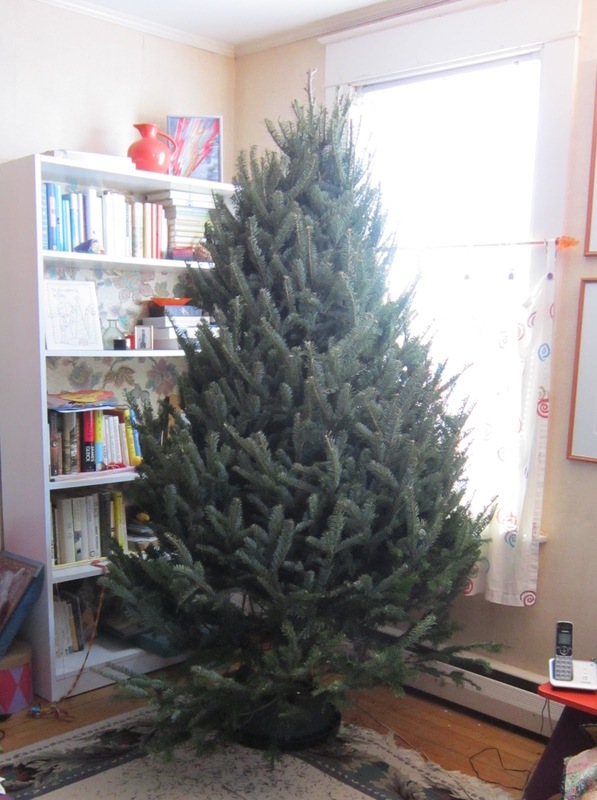 Mom says the tree will warm up, and the branches will relax a lot more. She will put the toys decorations up later. Naturally, I am snoopervising the entire process. Um.... I hope I don't have to wait much longer for what goes here. Because Mom, the faster you get the Christymas Tree up, the faster I'll sit under it, and not on your new sweater. After Mom's silly photo of me yesterday, I think we can all agree THIS photo is much better! 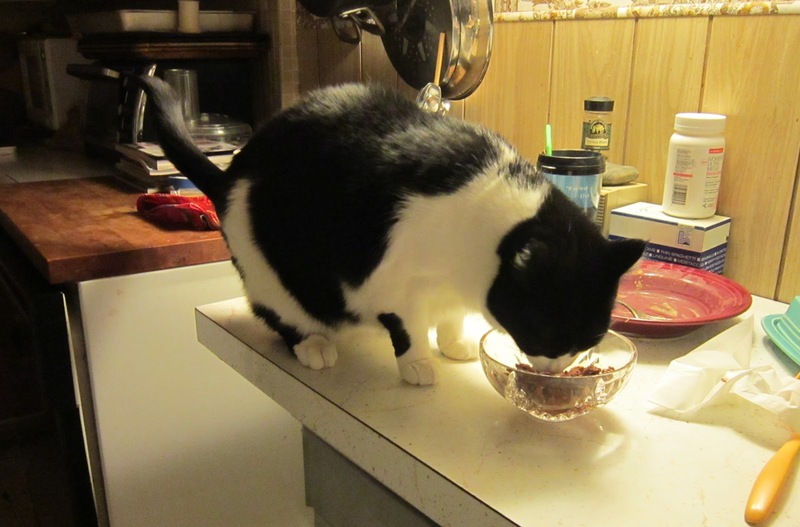 Mom doesn't like it when I spill the beans, but hey, I'm a cat and I'll spill knock over any beans I choose. (Figuratively speaking, of course.) 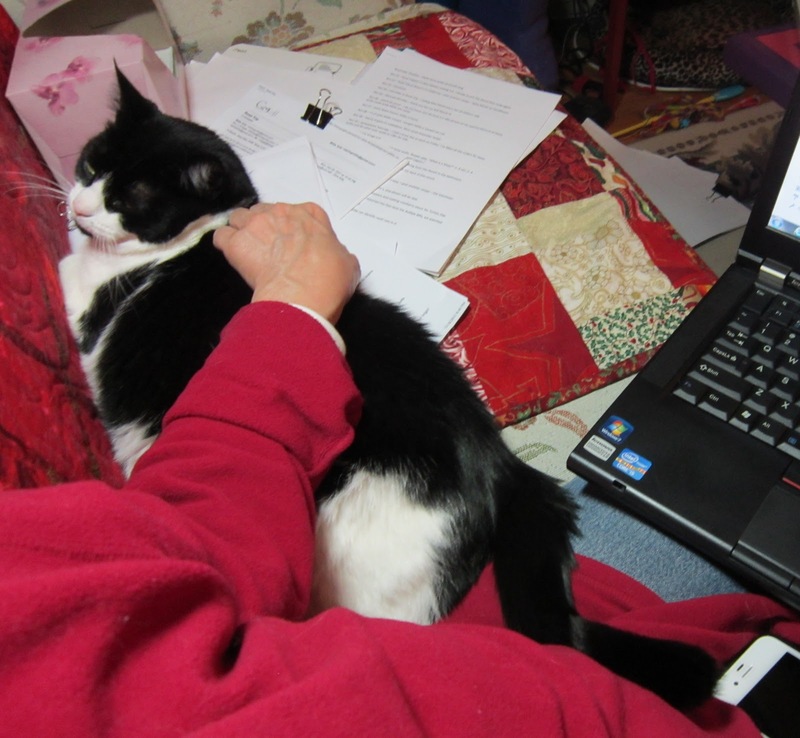 Anyways, Mom's big wordy project is why I haven't been visiting many blogs and leaving comments. Please accept my humble apologies, but in this case, I'm on Mom's side. I really want her to get this wordy project done for so many reasons, I can't list them all here. Suffice it to say she wants to let the world know how important cats are, and how we small furry four pawed creatures make the world a better place. I may have told you once or twice that Mom's newest project involves words and the tippy tappy lapbox. Here is proof. The coffee table is covered in wordy paper. 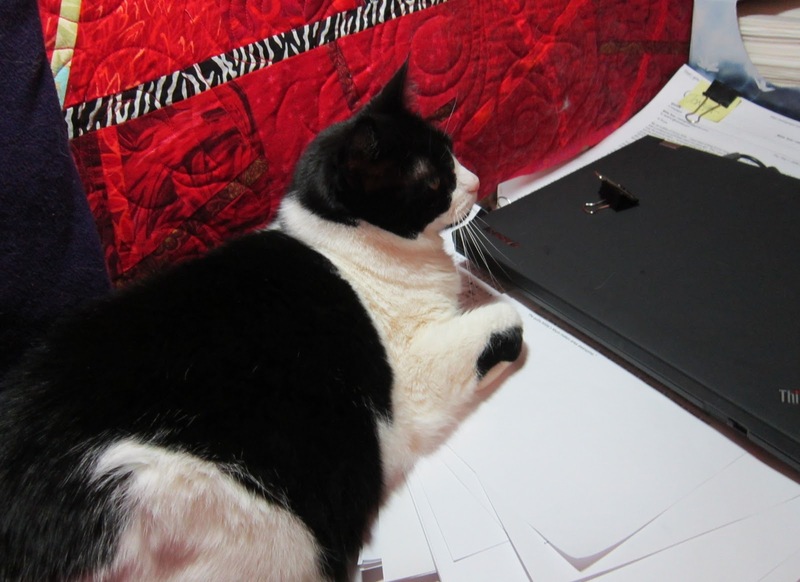 There are more piles of wordy paper on the couch, and Mom sits in that empty spot every night, and tippy taps on the tippy tappy lapbox for HOURS! Mom -says- that I am the star of all those words, but I do not believe it. 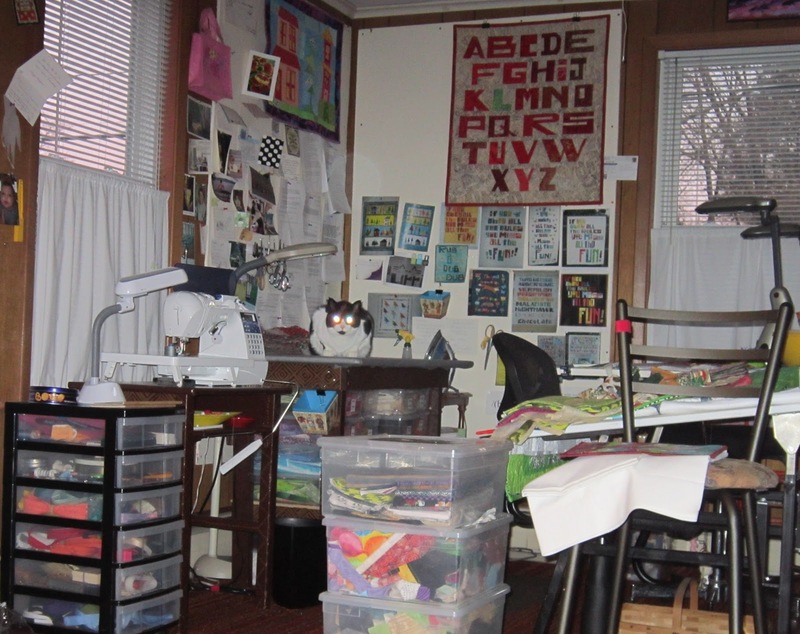 Do you see her little digital camera in this picture? You do not, and that is why there have not been any photos of me on this blog lately. 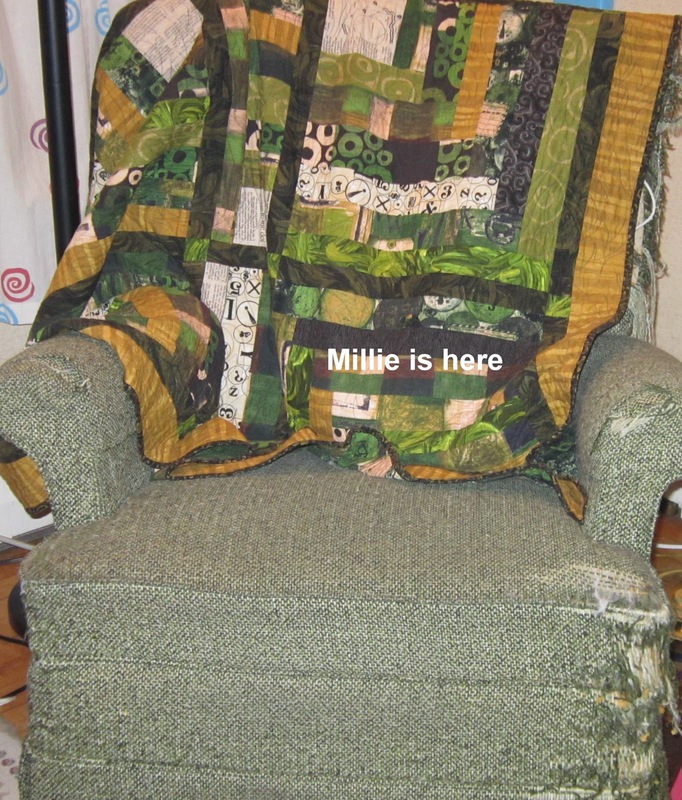 I have told Mom in No Uncertain Terms this has to STOP, and the very least she can do is to make sure my lovely self is front and center of this blog each day. 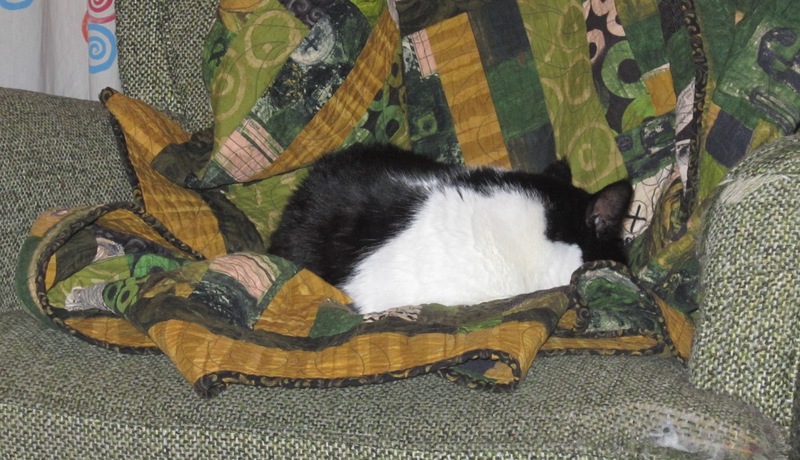 I love napping in a nice warm spot. But I don't like it so much when Mom sticks the flashy box in my face. Hope you have a nice Monday, kittehs! Mom and I have been shopping and selected the goodies for our Secret Paw. 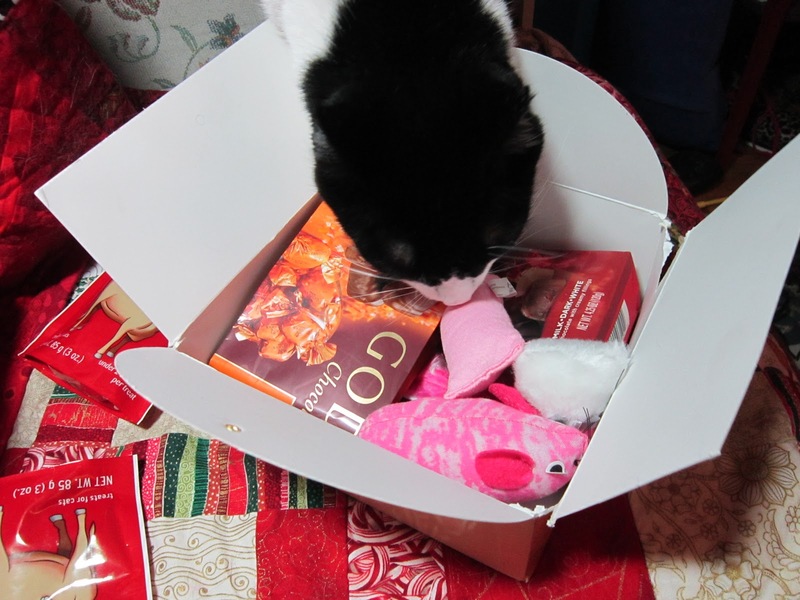 We have toys and treats and of course Mom included a box of the Evil Little Chocolates for my Secret Paw's Mom. Naturally I have to inspect every item that goes into the box. Mom will give it to the Man in the Bloo Shorts on Monday. I cannot say where it is going, but this box will be taking a long trip.